New Zealand Engineers resting in a large shell crater at Spree Farm, Ypres Salient, 12 October 1917. Battlefield conditions had a huge impact on armies and played a large part in the success or failure of an attack or campaign. Even before the Passchendaele offensive, bad weather – combined with difficult terrain around the frontlines – had been a constant challenge for the Allies. Shelling from both sides churned up the earth, and rain liquefied it. Where the shells made craters, these filled with water. Three years of shelling had also destroyed the drainage systems that aided water run-off, so flooding was common. During the 4 October attack on Broodseinde, and leading up to the attack on Passchendaele, it rained constantly, often torrentially, making assault preparations incredibly difficult in such a short time frame. A pile of 18-pounder shell cases show that a gun crew are to the left of the photo, out of sight. An artillery shell explodes in the background. Ypres Salient. 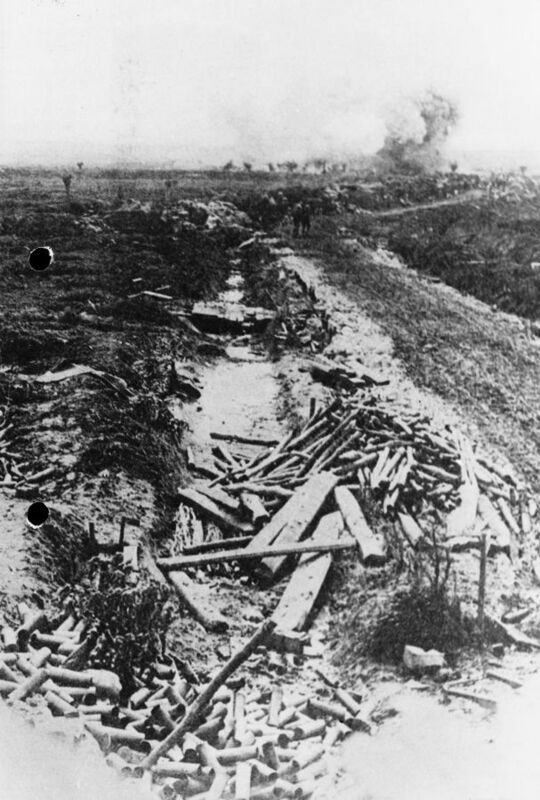 The rain and mud affected every part of the New Zealanders’ operations. 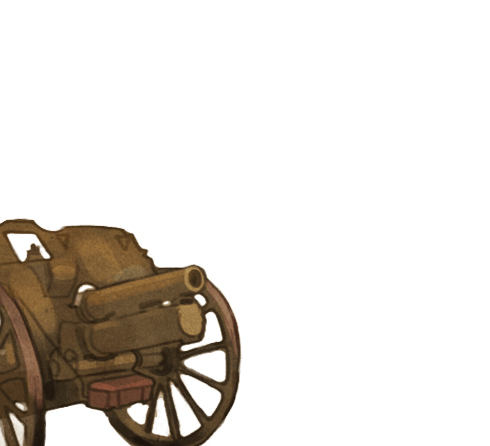 Moving artillery into position and bringing up ammunition along boggy roads was slow going. Only one-third of the available guns made it, and there was barely enough ammunition for an effective barrage. When the New Zealanders did open artillery fire on enemy positions, their guns sank into the mud and shifted, reducing their accuracy greatly. The soldiers themselves were wet, cold, exhausted and miserable. Some became dangerously ill. As they tried to advance across the landscape, most sank up to their knees in mud. And because their poor artillery barrage had made little impact on German positions, the Germans had plenty of time to set up machine guns and shoot at the slowly advancing New Zealanders. Gordon Neill was on stretcher bearer duty on 12 October 1917 and helped clear the wounded from the battlefield. "And straight up to the line to help to evacuate hundreds of wounded who had been lying out there probably from the date of the 4th of October offensive and this was in pitch dark over badly battered roadways some of them were blown almost to pieces, we were harrassed all the time by mustard shell fire, mustard gas, and we got up to just behind where our own boys were in the line and we picked up a wounded Englishman, I don't know who he was I don't even know his name, and he had two, both legs broken and he'd lain for three days out in the wet and the cold. There were 6 of us on the stretcher and two in reserve and we carried him out, raining like heck all the time, carried him out and the only time that fellas says anything 'oh boys' he says 'there's a puddle of water forming underneath me, small of my back' he says 'would you stick you're bayonet through it and let it out?' One stage the front blokes went into a bit of a hole and nearly tipped him off, never a word of remonstration. We finally at 6 o'clock the next morning – 12 hours we spent getting him out – we pushed him into an advanced dressing station down a chute underground. Whether he lived or not I've no idea." The already-large number of casualties was amplified during and after the battle, as teams of stretcher-bearers attempted to collect the wounded. Passchendaele demanded six- to eight-man teams to handle each stretcher, and the mud was so bad that it took around seven or eight hours to collect one man and bring him back to a clearing station. Many soldiers died where they lay, as they weren’t reached in time. Progress was so slow that on 13 October an informal armistice took place so both sides could bring in extra manpower to clear the wounded and dead.